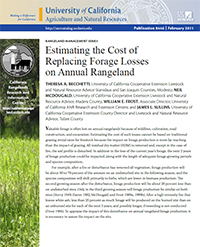 Disturbance on annual rangelands has far reaching ecological and economic impacts on production, and must be appraised on more than traditional grazing rental rates to appropriately compensate producers. 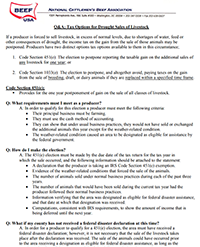 Fact sheet addressing two tax options available to producers who are forced to sell livestock due to drought, presented in a question and answer format. 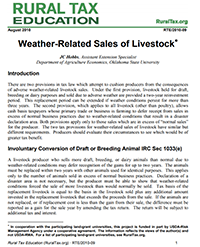 Overview of tax law provisions 1033(e) and 451(e) which attempt to cushion producers from the consequences of adverse weather-related livestock sales, including example calculations. 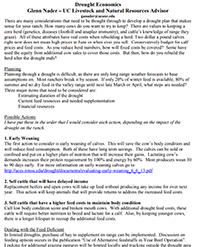 Management and economic strategies to consider when developing a drought plan.